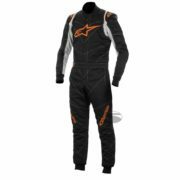 The Alpinestars GP Pro race suit is an excellent addition to any race driver’s wardrobe. The three layer fireproof overall is made predominantly from a Nomex material. The GP Pro race suit uses cutting-edge technology to improve the drivers comfort and keep them cool using a breathable fabric. The suit is extremely safe utilising multi-layer materials ensuring high levels of heat protection as well as remaining lightweight. 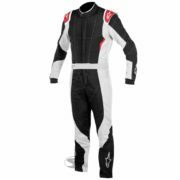 The Alpinestars GP Pro suit has a 100% Nomex outer layer that ensures maximum heat protection. The middle layers are made from a Nomex based material which are designed to reduce transfer of heat to the body. The inner layer of the GP Pro is made from Aramidic fibre which once more reduces heat transfer and aids in moisture wicking from the driver’s body. 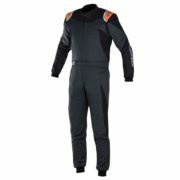 Alpinestars have designed this suit anatomically to ensure the driver has the optimum fit when in the driving position. The suit features Nomex stretch panels in the lumbar and back areas and floating arms to ensure the driver has a full range of movement. 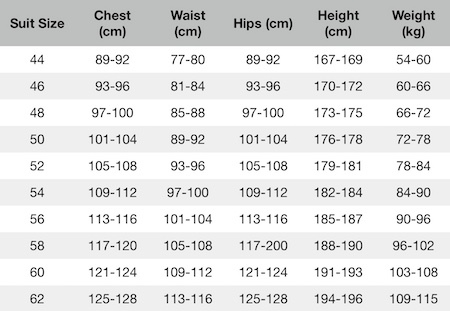 The collar and waist band use Velcro to ensure a perfect fit. 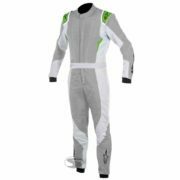 The GP Pro racing suit is homologated to FIA 8856-2000 standards, meaning it can be used in motorsport around the world. This product can be returned within 14 days for a no-fuss refund, so long as it is in an unused condition. Be sure to contact us before any returns are made. Stay informed! Get updated when new tutorials are released.